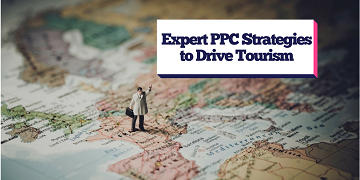 Britons spend more online than any other European nation, according to the findings of a new study that may interest PPC marketing experts. A study from the Centre for Retail Research shows that UK online shoppers bought £38 billion worth of goods over the course of 2009. This constitutes nearly a third of all web sales in Europe. Germans were the second largest shoppers with a total outlay of £29.7 billion, followed by the French with £22 billion. And it appears that more consumers are turning to the internet for big-ticket items. The proportion willing to spend more than £1,000 on a single transaction doubled from 12 per cent in 2008 to 25 per cent in 2009. PPC marketing professionals will also be interested to hear that the e-tail sector is expected to continue growing over the coming year. The Centre for Retail Research has predicted that the UK online market will grow 12.4 per cent to £42.7 billion in 2010. Bruce Fair is managing director of price comparison website Kelkoo, which commissioned the research. "This year is when we will really start to see online sales achieving a significant share of overall retail trade in the UK," he said. "In these hard times, it is no surprise that shoppers are turning to the internet rather than the high street." In related news, the UK's top five e-tailers enjoyed a significant boost in the lead-up to Christmas. According to web trend analyst comScore, Amazon, Tesco, Apple, Play.com and the Home Retail Group received 35 per cent more visits in November 2009 compared to an average month.